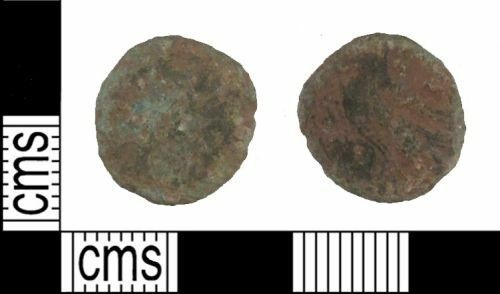 A worn copper-alloy radiate of unknown ruler, dating to the period AD 260 to 296. Reverse depicting Eagle left with head right. Mint illegible.